The pilot of the gyroplane reported that, when he returned to the airport for landing, the wind was calm. After touchdown, the gyroplane was on a slow roll when the tower controller asked the pilot if he wanted to exit at intersection Charlie. The pilot was about to reply to the controller when the gyroplane unexpectedly tipped over and came to rest on its side. 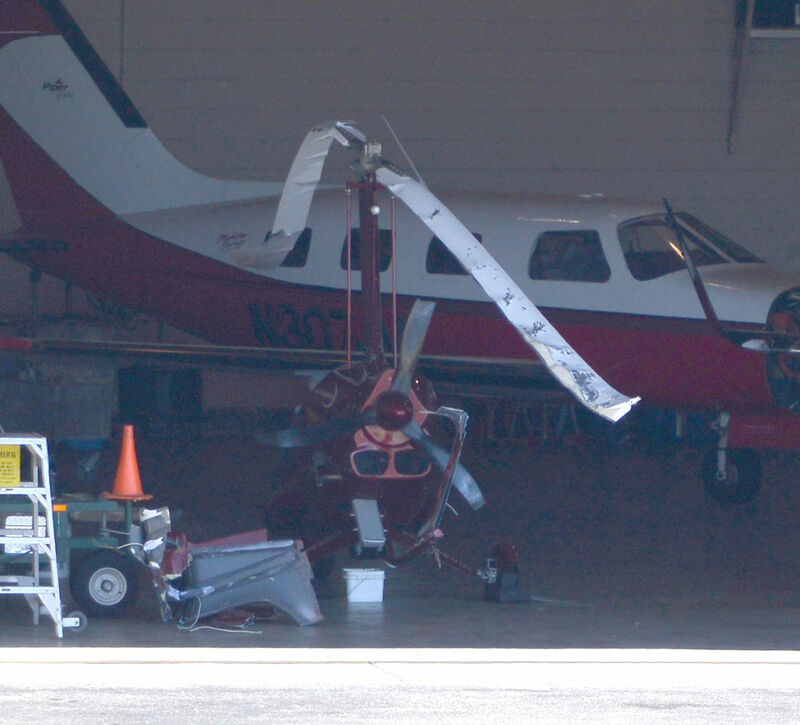 The gyroplane sustained substantial damage to the horizontal and vertical stabilizers. The pilot's failure to maintain lateral control during the landing roll. The pilot of the gyroplane reported that when he returned to the airport for landing, the winds were calm. After touchdown, the gyroplane was on a slow roll when the tower controller asked him if he wanted to exit at intersection Charlie. The pilot was about to reply to the controller when the gyroplane unexpectedly tipped over and came to rest on its side.